It goes without saying that Enterprise mobility has had a profound impact on organizations worldwide. Those who have embraced mobility have begun to reap benefits in the form of higher customer satisfaction rates, increased workforce productivity and effectiveness as well as gaining a competitive edge in their respective markets. Technology, however, is ever changing and fickle. A new focus on all things AI is occurring as chatbots and voice-activated assistants are taking over the market. 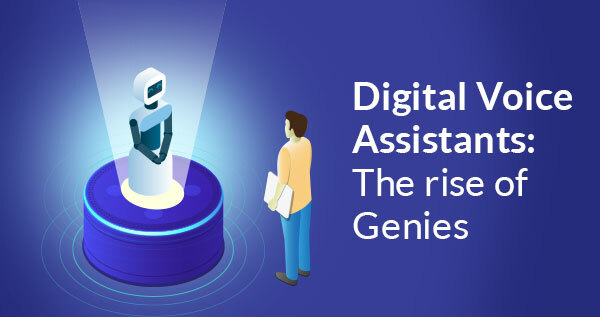 The shift to voice-based solutions has already begun and businesses that have integrated bots or have adopted voice activated assistants like Alexa, Cortana or Google Assistant are creating a powerful experience at a relatively low cost. As an example, connecting with an individual or group is a quick and easy interaction, by utilizing a simple chat or voice activated messenger bot as compared to emails or calls (avoiding customer anguish in automated attendant hell!). Chatbots and Voice-controlled assistants offer your website / platform users a tremendously convenient way to engage with you on their terms, without having to install an app or search a website. What’s the difference between Chatbots and Voice-activated assistants? Chatbots are basically a conversational interface on web and mobile based applications powered by Artificial Intelligence (AI). You may have come across a tiny window popping up on websites or a mobile app asking if you need any help. That could be a bot you are talking to. Voice activated assistants (VAA) are also powered by AI, however they function through voice-based commands like your Alexa or Google home. These tools can now be harnessed for commercial purposes to assist customers with choosing a relevant product or service or answer questions quickly. How do Chatbots and Voice Activated Assistants work? Chatbots and VAAs are quite easy to be trained. They need a dedicated algorithm that comes with its own set of problems to solve. For chatbots, typically the software maps a sentence into particular “intent” (i.e., a greeting intent, closing intent, a question-oriented intent). All intents are associated to a pre-defined set of responses. The bot chooses one of the suitable responses and then reacts to the user. These answers/responses are also given ‘codes’ to identify them numerically which helps to classify the sentences. 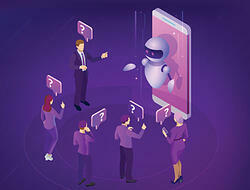 The Chatbot incorporates four major parameters such as Text Classifiers, Suitable Algorithms, Artificial Neural Networks and Natural Language Processing (NLP). For VAA, the Automatic Speech Recognition (ASR), transcribes your voice into text, which then analyzes the text and extracts the meaning. It’s called Natural Language Understanding or NLU. The NLU algorithms first identify the intent of the user and then extract the results. In short, the process of making software understand inputs is called Machine Learning. While these models (ASR, NLP etc) need a one-time training per language, the NLU requires training for each intent. Voice assistants and chatbots require a similar logic for the NLU - all you need is training data for each intent or query you want them to handle. These new AI-based tools have proven to be very efficient in terms of integration with other business apps. Businesses can leverage them by integrating with mobile apps or can utilize them in a physical location to help facilitate customer service (i.e. in supermarkets or libraries to help visitors find items). The introduction of chatbots and VAAs have transformed the way many industries are conducting business. Here are just a few examples. Retail firms are providing a smoother, hassle-free experience from inventory to point-of-sale. Hospitality companies are keeping customers satisfied with expanded user guidance and an easy booking process. 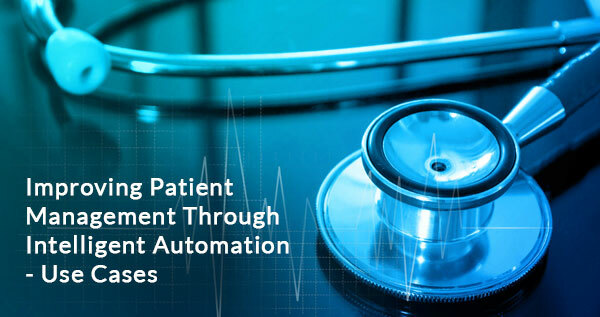 Healthcare organizations are enhancing the patient experience through these tools to help patients book appointments, remind patients to take their pills or assist in refilling prescriptions. Reducing costs: Customers are now global and require support at any hour. Having a skilled staff on call for 24 hours can be expensive. Bots are a viable option to help answer relevant questions 24x7 when someone is not available. Unlike a human, they are also capable of managing any number of online users with the same efficiency levels. This is managed at a relatively lower operational cost with proficiency, improving customer service and ROI. Consistent output: Unlike humans, chatbots and VAAs are not affected by anything happening around them. Therefore, their performance is consistent throughout the day regardless of the number of requests made in one instance. They are also capable of managing different levels of queries from basic to complicated, depending on how they are programmed. Enhanced customer experience: It’s a myth that talking to a bot doesn’t provide a good experience. Bots can be trained to elevate the conversation, crack jokes and even become serious when needed (just like humans). Having chatbots and VAAs can significantly reduce the waiting time and provide quick resolution to customer needs. And as mentioned above, they can be trained to interact with users as per their preference, style and background. This enhances the overall experience generating long-term customer engagement and loyalty. Increased conversions: With chatbots and VAAs, users can get required information in a flash to expedite their buying decisions. In most industries, prospects make the buying decision impulsively and it’s important to capture on that impulse. The users don’t have to wait for a sales rep to introduce themselves, evaluate the users’ needs then provide options. 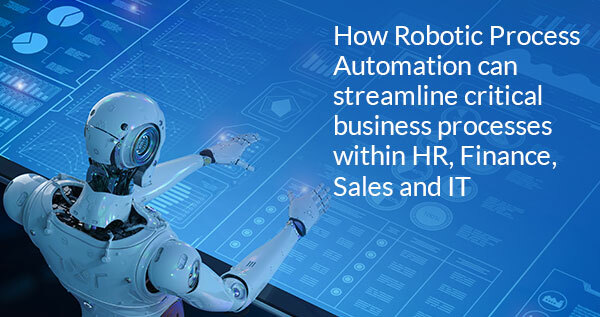 This automation, with minimal human intervention, provides a self-service experience with help available as needed – increasing speed of conversions. Bots can also identify users who have previously visited and initiated queries based on their historical behavior and response patterns, this data can be used to upsell while interacting, improving cross-sell conversion rates. A 2017 Gartner survey* found that 84 percent of organizations expected to increase investments in customer experience (CX) technology in the year ahead. A better customer experience drives increased conversions- and Chatbots and Voice activated assistants can be a strategic resource to increase both. If you are planning to incorporate these wonderful and powerful tools as a part of your enterprise mobility and business improvement strategy, get in touch with our team of experts for a quick assessment.